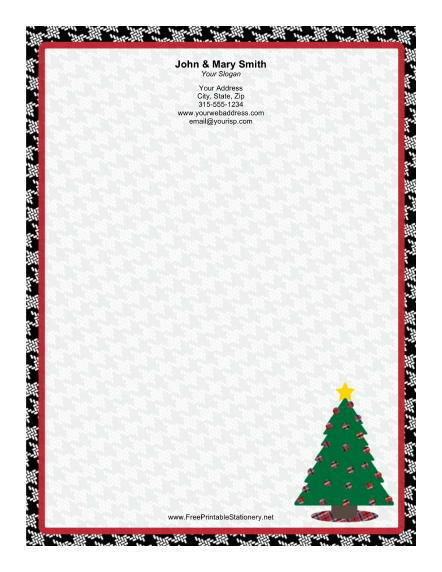 A Christmas tree decorated with colorful ornaments and a gold star add cheer and warmth to this stationery. The tree is set against a border of black and white woven check. A red inner border makes this an excellent choice for Christmas letters.